Since 2009, Springbank distillery has taken part in Kintyre's annual "Open Day". It's largely a community/heritage/architecture event, but on the day the distillery gives free tours and release an exclusive whisky, like this one, that the attendees may purchase. I have no idea how Andy (el jefe del LASC) obtained this bottle, nor how you may obtain it (other than auctions). 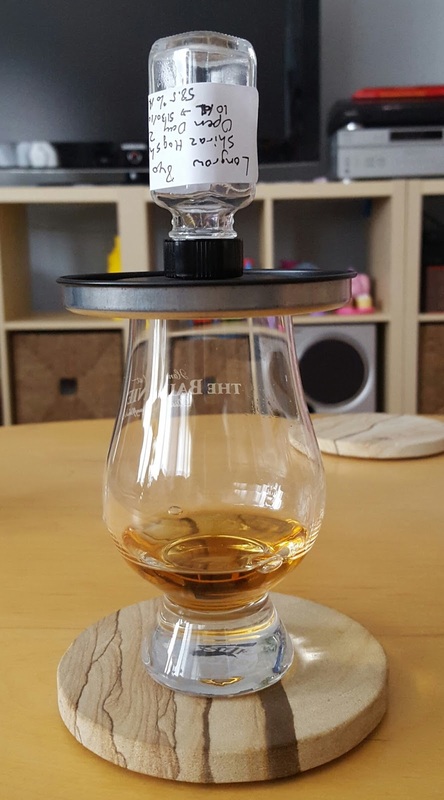 Aware that this was a unique situation, I made off with a sample of this whisky before the bottle was emptied. Its color is a reddish gold. The nose leads with bandages and berries, and it somehow really works. There's milk chocolate, cinnamon, Three Musketeers nougat, pipe tobacco, and a whiff of a seaweedy pier. The palate is hot and peppery, with equal parts blackberry syrup and peat smoke up front. Soon there's a big note of a serious ginger beer (like Fever Tree). It's fizzy and occasionally reminiscent of a minerally champagne. The finish is more focused. More peat, black pepper, lemon pepper(? ), and dry red wine. A little bit of that ginger buzz on the tongue. Still with the bandages and berries on the nose. Darker chocolate. Caramel. Very aromatic, almost floral. A chili oil sting appears in the palate, alongside the fizzy ginger. Lemon lime soda. Rocks and a bitter black coffee note. The finish is earthy and rocky. A little bit of dark berries and bitter coffee. My old stance against wineskys continues to crumble. This is such a fun whisky. The nose is great, even gorgeous at times. The crazy palate almost feels carbonated, thus my bubbly notes. Meanwhile the earth and the ginger ride well with the wine. 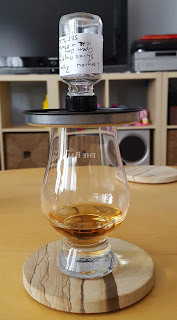 It's a whisky whose entertainment value would be worth paying a small premium for, in my opinion. It's not the sort of malt whose zaniness wears out its welcome after one glass. It made me wish I had a whole bottle to enjoy and share and exclaim "You gotta try this lunacy!" I have no idea how to score this. Ha! That is a lotta money, about $250US. That ain't no small premium.